(Above) Various products for international retailer Blue Q, inventors of the flat cat and infamous Dirty Girl Soap. (Above) Design for international retailer Blue Q. 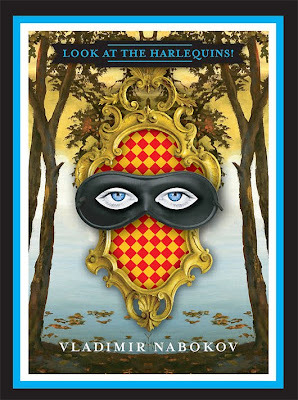 (Above) Over 20 artists were asked to design and illustrate one of Vladimir Nabokov’s books using a shadow box and museum pins. This will be in book stores soon. Here’s a preview, above. 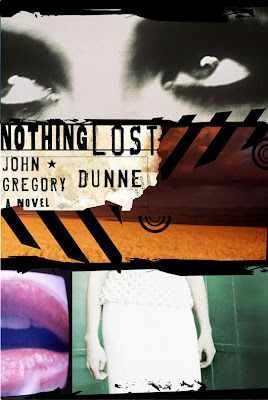 (Above) A book jacket design art directed by Chip Kidd for Knopf. 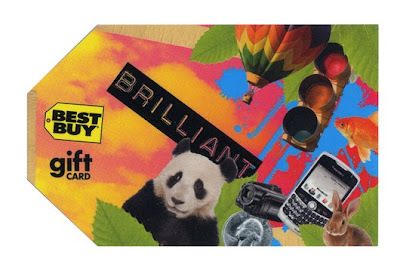 (Above) Gift card for Best Buy. (Above) The folks at Boom Island Design asked Charles to design a gift card package for Best Buy. 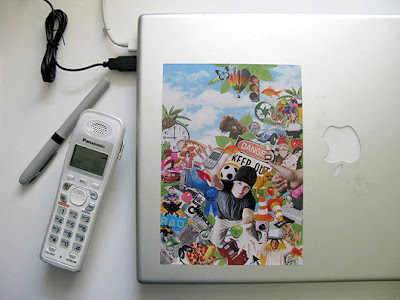 This awesome card features a reusable sling sticker that can pasted on your laptop, in your locker or notebook—perfect for your favorite teen or tween! 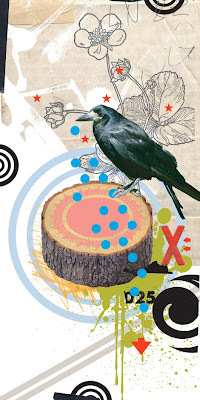 (Above) The Urban Forest project is a series of outdoor banner exhibitions featuring artist and designers from around the world. 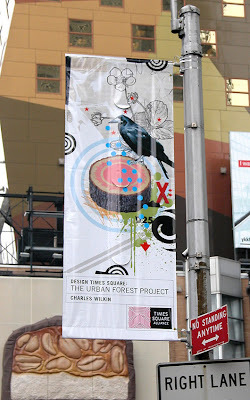 This banner done by Automatic was show in New York’s Times Square. After the exhibition the banners were recycled into Jack Spade bags then auctioned off for charity benefiting inner city schools. (Above) Times Square art by Charles Wiltkin. 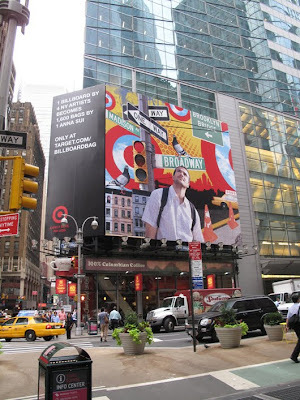 (Above) Target Stores asked Charles Wilkin to participate in the “New York 9” billboard project which brought together the art of 4 NYC artists spread over 9 billboards in Times Square! 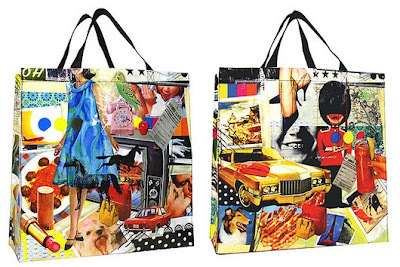 The billboards were up from Sept. 4 thru oct. 31 2009 and then recycled into Anna Sui bags! 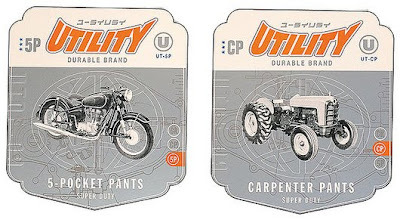 (Above) A series of pocket flashers for Target utility brand boys denim. 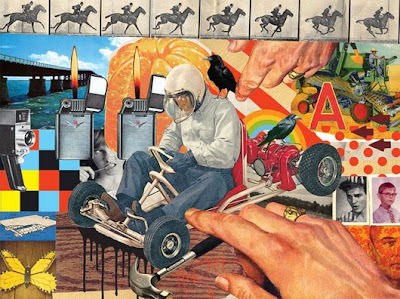 CHARLES WILTKIN IS THE PRINCIPAL OF AUTOMATIC ART, BASED IN NYC. His work takes everything that pop culture has to offer—fine art, advertising, snapshots, found objects, flea market finds, you name it. He reaches into that world with ease and reassembles it into advertising for premium consumer products all over the world. Seen some of those bags walking around, now I know where they came from.